Who has the best creative green thumb in St. Cloud? We'll provide the pot, the soil, and a variety of plants - you provide the magic by creating a beautiful planter display. All planters will reside on the St. Cloud Public Library Green Roof for public viewing. This activity is limited to 10 adults. Registration is required. 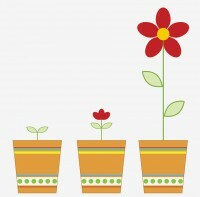 Planter Challenge date is Saturday, June 6 from 12:00 to 2:00 p.m.